This third-party engagement was already stipulated in the contract with Allseas signed in April 2017. Pioneering Spirit will return to the Baltic Sea to continue laying the Nord Stream 2 pipeline within approximately one month. 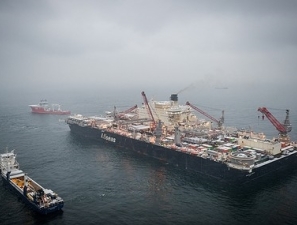 Another short demobilisation period for Pioneering Spirit is foreseen for later in 2019. Over 1,000 people are currently working on some 20 vessels for the project in the Baltic Sea. Over 800 kilometres of pipes have so far been laid on the seabed, in line with the permits granted by Germany, Finland, Sweden and Russia.